Technology Spot-Audit™ – Cyber Security? Tech Issues? Neal Quon and Blane Warrene founded QuonWarrene in 2009. The two have spent their careers in the financial services industry, bringing a combined ‘street smart’ front office and back office expertise to the firm. The two saw a significant gap emerging as technology took center stage and have designed a methodology for unlocking the quotient in a financial business. Quotient – a degree or amount of a specified quality or characteristic. 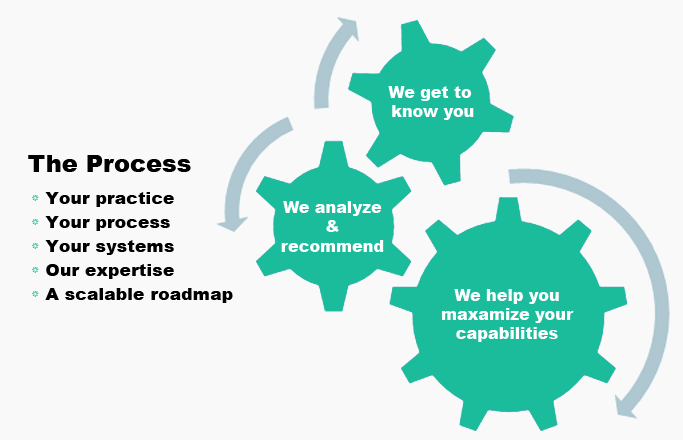 The Technology Spot-Audit™ is our proven introductory process to the Guided Planning Services (GPS). Through it we learn the makeup of your business, identify, with you, a single priority – and provide you quick and expert analysis and recommendations. The Technology Blueprint is a natural evolution of our introductory Spot-Audit™ solution. This takes the QuonWarrene GPS methodology and becomes the Technology Business Plan for the future of your business. We look at all of your systems, service providers and infrastructure and offer detailed analysis and recommendations. The GPS Concierge is an elite package of services. This includes the Spot-Audit™ and Blueprint, takes full advantage of the QuonWarrene GPS methodology. In addition to our audit and Blueprint for the future of your business – we facilitate the projects, as vendor liaison, project facilitator and coach over 12 months. It’s like hiring an expert employee without the overhead and provide better economics. The QuonWarrene methodology uniquely identifies the solutions and processes needed to improve profitability and efficiency. Our clients leverage this to grow and sustain their business, or during transitions, mergers & acquisitions or other transitional events. Neal also bridged many channels in financial services, with a consistent focus on the front office of operations. He has worked for and consulted for many of the the industry’s leading service providers. This includes Albridge Solutions and CashEdge, Inc. Neal also directly coached financial advisors, serving as the Practice Consulting Manager for the Pacific Life group of broker dealers prior to their sale to LPL. 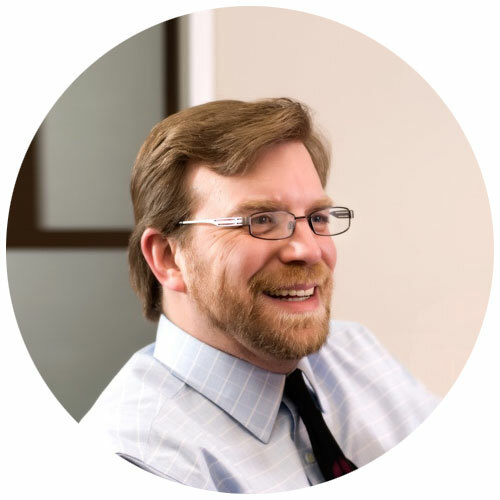 In founding QuonWarrene with Blane Warrene, he brought client-facing technology expertise and regularly speaks and advises on practice management issues today. Neal also serves on the advisory boards of Chapman University and Texas Tech University. Recognized as an industry leader in financial services business development and technology, Blane has worked in progressive roles in operations, technology and compliance in the industry. He co-founded Arkovi Social Media Archiving in 2009 with Carl Cline and Tyson Lowery – successfully raising capital and delivering a modern software as a service solution for business use of social media. Blane co-founded QuonWarrene with Neal Quon in 2009 and they continue to build this business today. In October 2012 Arkovi was acquired by RegEd. Blane continues to advise companies via QuonWarrene. In addition, Blane is a sought-after speaker and panelist at industry and corporate conferences where he brings a fresh and innovative approach to business issues. An avid blogger and well known on twitter, @blano, he is actively engaged in social media providing thought leadership in compliant communications. Blane has appeared in Investment News, Financial Planning Magazine, The Wall Street Journal and many other major publications. Blane serves as a board member for the Dennison Railroad Depot Museum, an Ohio national historic landmark. He also serves as the editor at large for The DigitalFA. Users may find advertising or other content on our Site that link to the sites and services of our partners, suppliers, advertisers, sponsors, licensors and other third parties. We do not control the content or links that appear on these sites and are not responsible for the practices employed by websites linked to or from our Site. In addition, these sites or services, including their content and links, may be constantly changing. These sites and services may have their own privacy policies and customer service policies. Browsing and interaction on any other website, including websites which have a link to our Site, is subject to that website’s own terms and policies. In particular, if you would like to manage your Twitter preferences based upon advertising, or to use the Do Not Track feature in your web browser with Twitter.com – please see this link at https://support.twitter.com/articles/20170405. QuonWarrene performs regular due diligence, research and analysis in the following areas of financial services operations and technology. Our clients leverage us to boost their operations and use of technology – They can then take advantage of our implementation and advisory resources without disrupting their daily responsibilities. Review many of our interactions with the media – both mentions and our team being cited in discussions around technology in financial services. In The Benefits of Customizing Client Statements, Neal Quon, co-founder and CEO of financial technology consultants QuonWarrene in Orange, California, says that many commercial portfolio management and reporting programs provide modern portfolio theory statistics. But based on his observations of advisers’ practices, typically only a small subset of clients — often those with technical or scientific backgrounds — express interest in detailed performance and risk analytics. According to Ali Malito’s article, In wake of DOL fiduciary rule changes, technology can solve problem of small accounts, tools for bulk, or batch, processes, which handle a task across numerous portfolios at one time, are an effective way to manage a large volume of accounts that don’t need too much attention. This can make rebalancing easier and allow advisers to create letters to send to clients about market shifts or relevant news, said Neal Quon, co-founder of QuonWarrene, a technology consulting firm for the financial services industry. “Focusing on integrations with various technology providers is easier than updating and maintaining a proprietary version of Salesforce, said Neal Quon, co-founder of QuonWarrene, a technology consulting firm for the financial services industry,” says Neal Quon, co-founder and CEO of QuonWarrene in this article by Alessandra Malito, Charles Schwab to cut its version of Salesforce in July. Contributing Editor, Joyce Hanson, quotes Neal Quon, co-founder and CEO of QuonWarrene, in her article, Wall Street’s Alliance Against Hackers for ThinkAdvisor. “It’s not just about the hardware or software anymore. It’s also about behavior,” said Quon, who noted that the massive Target data breach in 2013 happened when hackers stole a third-party vendor’s password to Target’s data network. In 20 Ways to Secure Client Data – And Stop Cyber Threats, Nicole Coulter quotes Neal Quon, co-founder and CEO of QuonWarrene on some of the best ways to keep client data safe. “Your biggest threat to cyber security is about behavior is about more than hardware or software,” said Quon. Ryan Neal reports on upcoming advisor conference in TD National LINC Heads to Orlando, where Neal Quon, co-founder and CEO of QuonWarrene will be on hand in the Business Consulting Lounge to show advisors how to leverage technology to improve practice management and take advantage of opportunities in the retirement plan market. The financial technology consultants at QuonWarrene are on a mission to educate independent advisors and broker/dealers on fintech solutions in QuonWarrene Provides Technology Insights to the Financial Advisor Community. Dubbed “fee-only tech consultants” because they are only paid by their clients for the advice and insights they provide (never by the tech companies themselves), the firm has been on the road, on the phone, and on the web with one big rallying cry: productivity and protection. In QuonWarrene Puts RetireUp in FinTech Spotlight, financial technology consultancy QuonWarrene announced they will feature RetireUp’s “elegant retirement planning solution” for financial advisors and their clients as a part of the Financial Tech Spotlight Webinar series. RetireUp VP Michael Roth will serve as lead presenter on February 2 at 4pm EDT. If you rely on a smartphone or tablet, you’re making a big mistake not using a secure password, which includes multi-factor authentication, to protect your online accounts. Imagine leaving your phone or tablet in a taxi. Think what might happen to your client account data if identity thieves suddenly had access to your email. “Advisors make this mistake because they think secure passwords are inconvenient,” says Neal Quon, of QuonWarrene, a technology consulting firm specializing in the financial services industry in journalist Nicole Coulter of RIA Central in Advisor Blunders: Are You Making These Mistakes? You have to consider the culture of how you operate your business and manage your staff before you make significant technology changes. 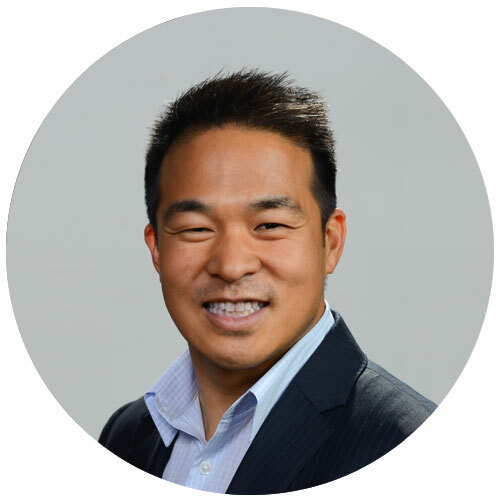 Understanding how you work and interact with your business technology today, good or bad, will ensure you understand the impact of the changes you are planning, writes Neal Quon, CEO of QuonWarrene in his blog, 4 ways to successfully prepare your firm for big tech changes. Journalist Alex Padalka reports in Advisors: Tech Is Good, but Please Take Your Time. Financial technology consultancy QuonWarrene CEO Neal Quon tells Reuters that the first step in a well-thought-out and smooth implementation of a new financial technology product is making sure the software fits the firm, according to journalist Anna Prior’s column, Wealth Adviser Daily Briefing: Talking With Clients About Your Fees, as reported in the Wall Street Journal. Raef Lee of SEI Advisor Network interviews Blane Warrene, Co-Founder and Board of Directors for QuonWarrene in Getting Ready (Really) for CRM in Your Practice . “It is essential to cultivate a mindset and properly set expectations in your business for what it means to have and successfully leverage CRM. The CRM you implement should serve as the center of the universe in your practice technology. If it is not in CRM, it does not exist,” says Warrene. Regarding why some vendors might be slower than others in pursuing integration “is related to them thinking strategically about where they fit,” said Neal Quon, co-founder of QuonWarrene, a financial technology consulting firm, in Alessandra Malito’s article, Stubborn software vendors buck integration trend, for now. Big-name advisers jump into data aggregation arena to back Quovo. Even with the launch of its wealth-industry platform, Salesforce faces major challenges from the industry-specific providers, as users assess its ability to provide true integration — including support for financial-planning and portfolio-construction modules, according to Blane Warrene, of financial-technology-consulting firm QuonWarrene in Salesforce Wants in on Financial-Advisor Business. In Alessandra Malito’s piece, Salesforce seeks to disrupt adviser-facing CRM market with launch of wealth management portal, Blane Warrene, co-founder of QuonWarrene said an industry-specific CRM system by Salesforce would add a competitive edge to the CRM market, especially since the product would be targeted at bigger advisory firms and custodians. Neal Quon, co-founder of the financial adviser technology consultancy QuonWarrene, said that advisers are demanding digital financial-planning tools to reach a wider audience in Alessandra Malito’s piece, Orion, Advizr integration ramps up competition among financial-planning software providers. In Leslie Kramer’s article on CNBC.com, Do you have life-after-death digital archives?, Blane Warrene shared that, in his personal experience, dealing head-on with the subject of a client’s death will avoid more problems than the difficult conversation creates. Co-founder Blane Warrene quoted as saying, “At a very high level, every legacy company in the financial services industry is finding ways to automate,” in Alessandra Malito’s piece, LPL sets lofty goal for more automated operations processes. Blane Warrene’s tweeting is mentioned in Pat Allen’s column in RIABiz, Pat Allen catches what Morningstar did right in expanding its conference content to Twitter, LinkedIn, which includes a photo of Blane and Neal Quon with Marie Swift in the Social Media Center. Advisers have heard this many times before, but it bears repeating: If they want their businesses to survive the continued potential threat robo-advisers represent, then they’re going to have to offer their own automated advice platforms. Although there are many ways in which advisers can do this, pricing is perhaps the most important consideration of them all, especially with giants like Schwab and Vanguard entering the fray and contributing to fee compression. In How much should advisers charge for a brand-new robo offering? Blane Warrene of QuonWarrene weighs in on the topic. The Morningstar Investment Conference enters its 27th year as one of the investment industry’s most respected annual events. This year’s conference will feature investment insights and analysis from top mutual fund managers and industry leaders. Participants will have the opportunity to engage with the speakers through keynote presentations, breakout sessions, round-table discussions and exhibit hall interaction — including the Digital and Social Media Center being staffed by communications and technology experts from QuonWarrene and Impact Communications. The promise of a seamless technology integration in which advisers get up to speed quickly and use all of the software programs and data available to them with ease isn’t a reality at most advisory firms. Not yet, at least. In The trouble with tech integration for advisers, vendors, Alessandra Malito interviews tech expert, Neal Quon of QuonWarrene, for his perspective. In More advisers are embracing the virtual world, journalist Liz Skinner writes about the increased reliance on video conferencing and other tools to say in touch with clients. Blane Warrene of QuonWarrene suggests caution when selecting information security and high-end equipment and software. Pershing has launched a new robo-adviser with Marstone, a newly-minted online investment and financial-planning technology platform for advisers to use with their clients. Journalist Alessandra Malito seeks out Blane Warrene’s insight in Pershing taps Marstone partnership to debut first adviser-focused robo. Amid rampant speculation about a possible sale of Salesforce, advisers that rely on the company’s popular customer relationship management software are bracing for upheaval. Blane Warrene of QuonWarrene provides his perspective in What’s at stake for advisers if Salesforce is bought out? Advisers are using cloud-based services more often in their practices, and need to take special precautions against client-data leaks and hacks. California-based consultant Neal Quon recommends that advisers shouldn’t rely on a service’s built-in security. Read more in Wealth Adviser: The Wealthy Can’t See Beyond One Generation. Regulators are urging advisors to get proactive about managing cyber risk. Last week, the SEC came out with new guidelines aimed at coaxing firms to set strict digital-security policies now rather than responding to hacks after the fact. Read technology consultant, Neal Quon’s, recommendations in Evasive Action for Cyber Attacks in the Cloud. Neal Quon, Co-Founder of QuonWarrene, a technology consulting firm for the financial services industry, writes an article for TechTalk, outlining three steps advisors can take to ensure they take a big enough pause for due diligence before getting caught making a potentially costly mistake with new technology. Financial technology consultants Neal Quon and Blane Warrene are on a mission to educate advisors and broker/dealers on cybersecurity risk. Dubbed “fee-only tech consultants” because they are only paid by their clients for the advice and insights they provide (never by the tech companies themselves), the duo has been on the road, on the phone, and on the web with one big rallying cry: productivity and protection. Read more in QuonWarrene on a Mission to Educate Advisors and Broker/Dealers on Cybersecurity Risk. Financial-savvy and technology enthusiasts should get excited over the arrival of the Apple Inc. Watch product as it could make their financial management life a bit easier. Read more in Make Money On Your Apple Watch. According to journalist Alessandra Malito of Investment News, financial services companies are scrambling to be part of the much-ballyhooed event with Apple set to release its new watch on April 24. “It’s extraordinary and fun to see the industry target a new product release,” Blane Warrene, co-founder of QuonWarrene, a financial service technology consulting firm, said. “Usually it plays the wait-and-see approach. So, it’s extraordinary to see the industry move so fast.” Read more in Financial services apps for Apple Watch. Blane Warrene, a technology and cybersecurity expert and co-founder of consulting firm QuonWarrene, did his best to scare attendees of the TechLeaders Conference in Dallas on Tuesday into proactive measures to secure themselves, their businesses and—perhaps most importantly—their clients in Scared Straight: Simple Cybersecurity Measure to Protect Your Firm. In How To Mediate Cyber Risks When Online, Blane Warrene, co-founder of QuonWarrene, addressed these concerns about privacy and security for the socially engaged financial advisor at the TD Ameritrade Institutional LINC conference in San Diego. In Password managers are a powerful tool in the fight to fend off cyber crooks QuonWarrene Co-Founder, Blane Warrene, writes that as advisers renew their focus on cybersecurity, one important area not to overlook are passwords. While choosing the right technology is an important component of reinforcing our security when online, so is correcting some of our bad habits. Co-Founder Neal Quon is featured as a guest blogger on “Meditations on the Way to the Cloud” in the piece, 3 citizen-blogger attendees at TD Ameritrade National LINC offer their ground-level views. QuonWarrene’s Co-Founder Blane Warrene is interviewed in this 1:39 minute-long video: The biggest mistakes advisers make with their technology. Neal Quon of QuonWarrene says that it’s easy to secure your data with reasonably-priced or even free password managers in journalist, Nicole Coulter’s piece, Advisor Blunders: Are You Making These Mistakes? In 5 Best Practices for Smart Financial Advisors in 2015, Blane Warrene and Neal Quon, Co-Founders of QuonWarrene, promote the practice of always protecting confidential data, especially in public places when using Wi-Fi.